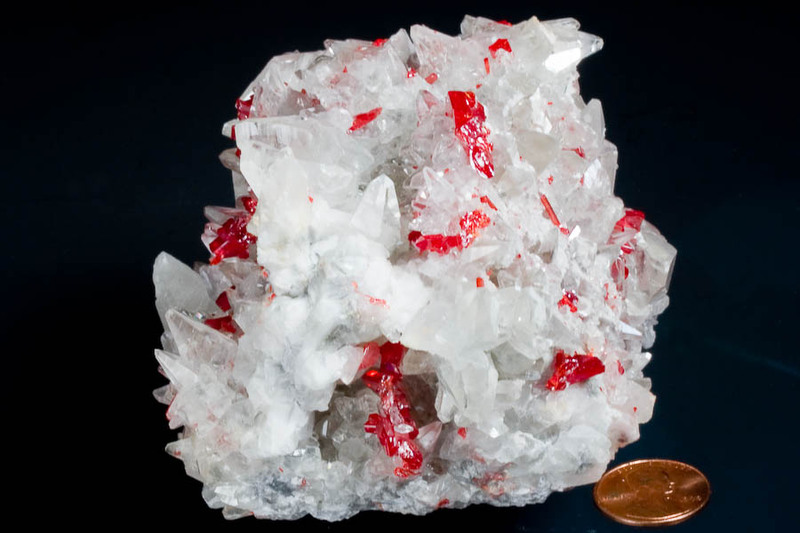 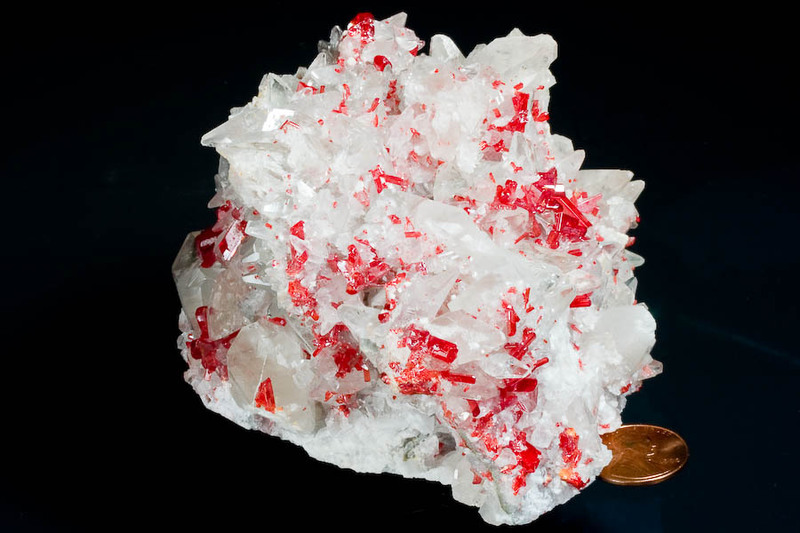 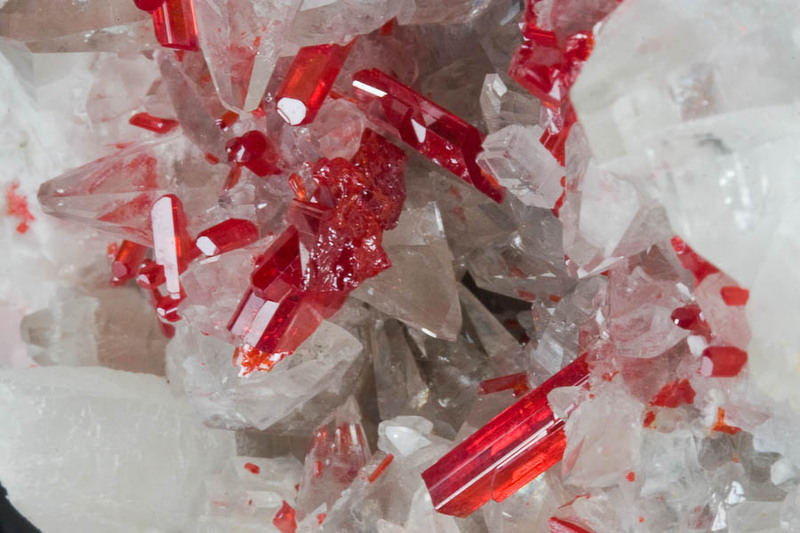 Comment: Candy-red and lustrous crystals of realgar on a field of sharp, lustrous calcites - a large and GORGEOUS specimen from China. 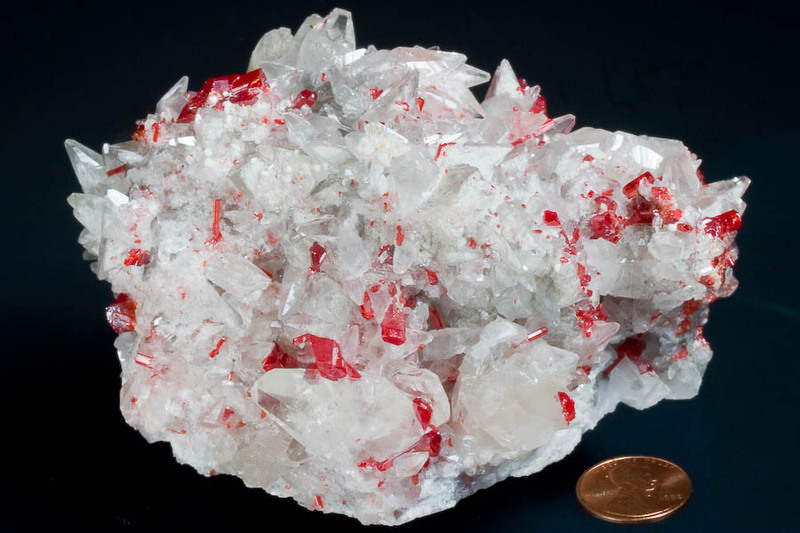 The realgar crystals measure to 1.5 cm. 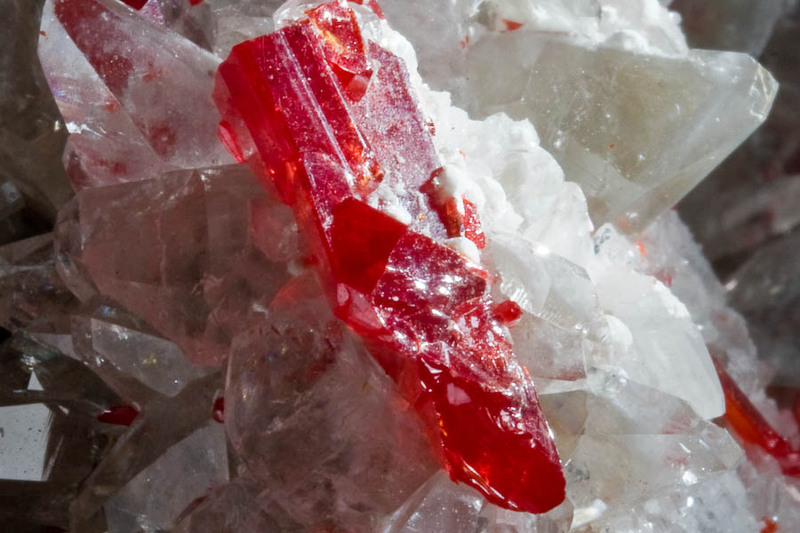 They truly look like GEMS. 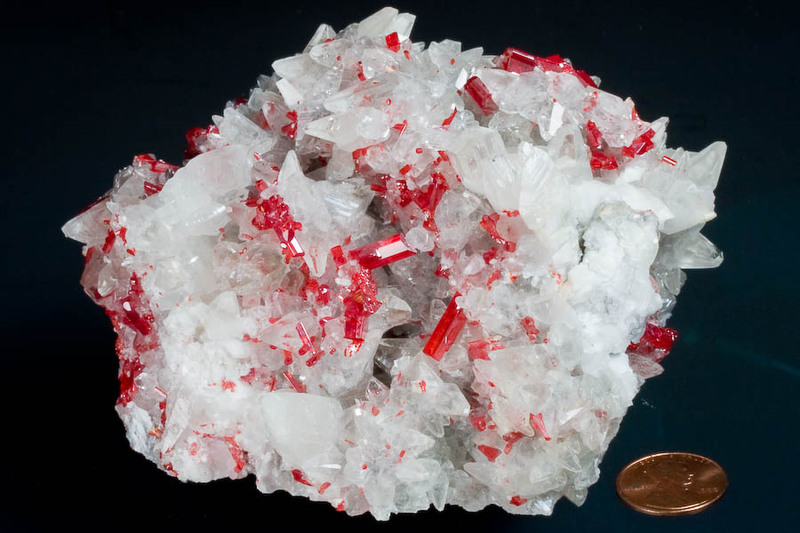 The one catch about realgar, of course, is that it is light sensitive; if you keep it in the light, the crystals will go brown over time.